This cute little fox (Urocyon littoralis) is native to the Channel Islands of California. There are six subspecies, and interestingly each are unique to the island it lives on. The small size of the island fox is an adaptation to the limited resources available in the islands environment. The largest of the subspecies occurs on Santa Catalina Island and the smallest on Santa Cruz Island. During my visit to Channel Islands, I didn’t see one because I visited Anacapa Island, which is the only island where the fox did not persist because it has no reliable source of fresh water. 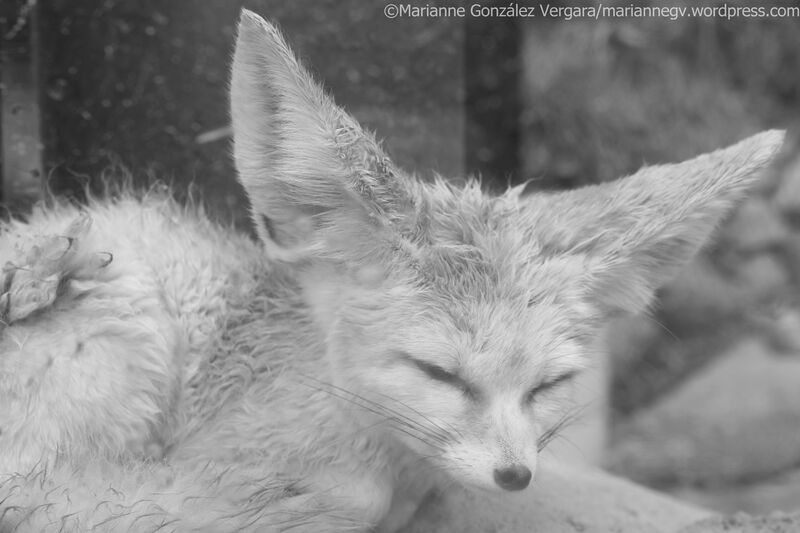 A friend of mine who visited another Channel Island, Santa Cruz Island, told me that she saw various foxes during her visit, and that they are so used to humans that they generally get close to them. Isn’t it cool? I would love to see one in front of me, at their natural habitat. oh how cute!!!! so cute!! Aw, it looks all tuckered out. Yes, it was sleeping at a corner when I took the photo. Have a great day!